If you would like to keep up to date with all the news, blog posts, tips and inside information or if you simply just can’t get enough of THE Genealogy Show, then our social media pages will be just what you are looking for. Updated regularly, our social media pages include posts with direct links to each blog post to ensure you never miss a feature and our newest addition is a Facebook Group for those attending THE Show. 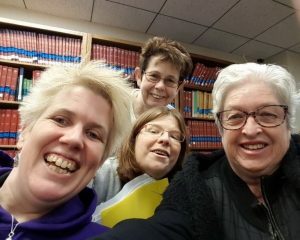 One of the highlights of attending genealogy events is meeting up with genimates, our friends from the world of genealogy. We have created a dedicated Facebook Group: THE Genealogy Show – Birmingham UK 2019 for those interested in THE Show, a place to ask your silly or sensible questions, find people with similar interests and organise meetups with new friends. Some people already want to know where they can find chocolate near the NEC! The Belgians and Norwegians have indicated that they will be bringing some along. Board Members Pat-Richley Erickson (DearMYRTLE) from the US and Jill Ball (GeniAus) from Australia are helping Show Director, Kirsty Gray, with administration of the Group. Hop on over to https://www.facebook.com/groups/THEGenealogyShow/ sign up and say “Hello” to the folk who have already joined. 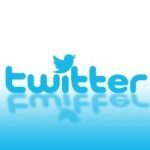 You can also keep up to date by following us on Twitter. “Colorado Springs, CO, Oct 19, 2018 — In anticipation of THE Genealogy Show in Birmingham, England, US-based professional researcher and presenter Valerie Elkins joins blogger and webinar host Pat Richley-Erickson, “Myrt” of DearMYRTLE.com, to announce a new partnership. THE Genealogy show will be held at the NEC (The National Exhibit Centre) in Birmingham, England, 7-8 June 2019. Valerie will be presenting two Arena Talks. Myrt is a conference board member and will be taping AmbushCAM interviews. A collection of Pinterest boards at https://www.pinterest.com/valeriemyrt. Sitting here at my computer in Lake Macquarie, Australia ready to approve members of the Facebook Group.